10/01/2010 The Strikemasters have escaped! 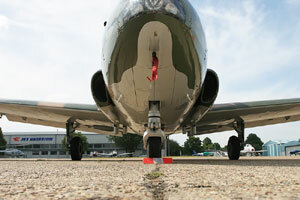 Welcome to the new Strikemaster heaven web-site. Over the past few months, following the completion of rebuilds of the FRADU Hunter and Canberra web-sites, the Strikemaster section was removed from Jet Provost heaven, and rebuilt to make it easier to update and maintain due to the reduction of spare time. The site retains the familiar format, with the exception of experimenting with slightly bigger fonts for the main text, thus making it easier to read and clearer on the eye. Check out the menu above for your options. Over the coming months, the site will grow and aims to achieve the popularity Jet Provost heaven did at its peak, before the unfortunate lull in updates. If you have any ideas what YOU would like to see, have any comments on the site so far, or would like your aeroplane featured please get in touch by clicking here. Thanks for your patience during this 'flat' period with Jet Provost heaven, I hope to regain my audience over the coming months and make the site a success.